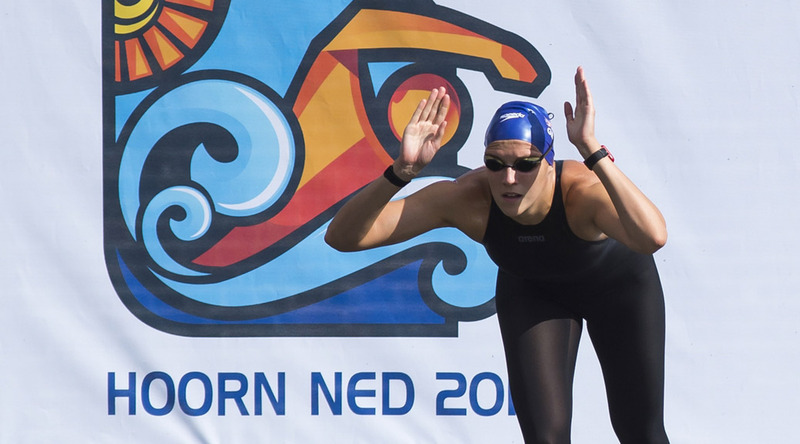 Danielle Huskisson took her maiden international title at the European open Water championships in Hoorn, The Netherlands, as she took gold in the 5km time trial. Jack Burnell meanwhile finalised his Rio preparations with the battling silver in the 10km event. For Huskisson, results at this competition go some way to making up for missing out on the Rio open water competition; she finished in a qualifying place at the selection race, but was denied a spot on the one per nation rule. That was forgotten as she romped home in the 5km time trial in 59:46.1 for top spot ahead of home favourite Sharon van Rouwendal in second. “To win here is a great surprise for me, I did not expect that” she said afterwards. “I more like to swim in a group like in the 1km”. Earlier in the week Huskisson had taken 8th in that 10km event. Britain’s third medal of the meet had come on the opening day in the men’s 10km, where Jack Burnell raced to silver behind Dutchman Ferry Weertman, who he will face again in the waters off Copacabana beach in a few weeks. Burnell was home in 1:55:21.2, just 0.6s behind top spot on the podium. “Today was very tough with rough waves but I was hoping to win a medal here.” He said at the finish. “It was a very good test for me before Rio, now I’m hoping for a medal there.” Hughes followed Burnell home 6th. Britain’s last competition was in the 5km team time trial where Hughes and Huskisson were joined by Jay Lelliott for 4th place. 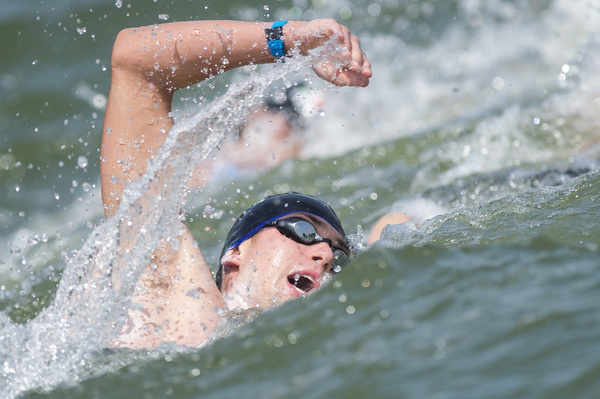 Lelliott had earlier marked his international open water debut with 18th in the 5km time trial.